We have rooted ourselves as the leading enterprise committed towards providing Musical Saxophone. The alto saxophone is an amazing instrument with a really unique sound. This one is no exception. It’s lacquered brass body looks great and it comes complete with a neck strap to keep it in place while you’re playing. Also included is a rugged canvas case to protect it when you put it down - if you can! Accessories: Gloves/Cork Grease/Standard (neck Strap)/Cleaning Cloth Etc. 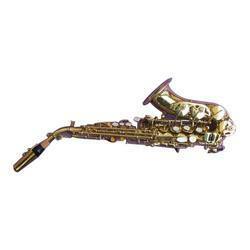 Being a leading firm in this industry, we are offering a high quality range of Musical Saxophone. 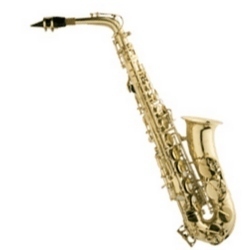 We offer an extensive series of Baritone Saxophone. The Alto Saxophones (also referred to simply as sax) is a conical-bored transposing musical instrument which is a member of the woodwind family. Alto Saxophones are usually made of brass and are played with a single-reed mouthpiece similar to that of the clarinet.